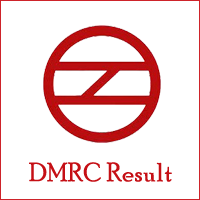 DMRC Result 2018 announcing regularly. Delhi Metro Rail Corporation conducted various exams for various Posts such as Junior Engineer, Maintainer, CRA, SC TO, etc. The Board released a DMRC Notification on 27th January 2018 and conducted the DMRC Examination on scheduled dates. After completion of the Exam, many candidates wait for the DMRC Results 2018. 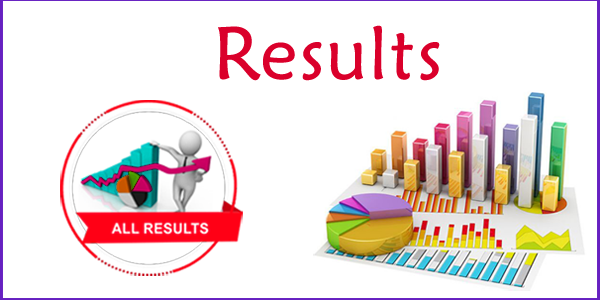 Here, we provide the DMRC 2018 Result and DMRC Score Card link at the bottom of the page. As soon as the Board declares the Delhi Metro Results and Score Cards 2018, we activate the link on our page. Interested Aspirants can also visit the official website of the Delhi Metro @ www.delhimetrorail.com to know about the DMRC Final results. January 2019 – RE02, CE02, RE07, SDNE01 Score Cards Released. Check Now. 26th November 2018 – Score Cards for the CE04, CE03, RNE08, CE01, RE03, CNE05, CNE03 & RNE09 available below. 19th November 2018 – Shortlisted Candidates for Medical Examination of SC/TO SC & ST category Special Drive in Delhi Metro released. 14th November 2018 – Assistant Manager Finance/Corporate Communication/ Legal/ Safety (SDE01, SDE02, SDE03, SDE04) Score Cards available for download Now. Haiii Guys!!! Are you one of the candidates who has attempted the DMRC Examination 2018??? Then we think, you are anxiously waiting for the DMRC Sarkari Result. Yes, you need to wait for some more days to know your DMRC Exam Result. As we all know that the Board needs to scrutinize all the exam participants Exam papers and should compute the score. After calculating the Marks, they should check whether they have reached the Cut off are not. Finally, after completion of the total procedure, the Board declare the DMRC Sarkari Result and give Rankings according to their Category. To complete the entire process it takes at least two Months. But to guess the candidate’s Results the Board releases the Answer Key and Cut Off marks. Post Name Junior Engineer, CRA, Maintainer, SC/TO, etc. Selection Process CBT, GD, PI. Delhi Metro advertise the DMRC Recruitment Notification 2018 for various posts such as Junior Engineer, CRA, SC TO, Maintainer on 27 January 2018. Many candidates are waiting for this Notification who are interested in DMRC Careers. Finally, their dream comes true. So, we suggest the candidates utilize this opportunity in a proper manner and get the DMRC Job. As the Number of DMRC Vacancies are more a huge number of aspirants applied for the DMRC posts, hence, there will be a lot of competition for the DMRC Exam. After completion of the application process, the applicants wrote the exam on pre-declared dates and now they are waiting for the DMRC Recruitment Results. The Board decides to select the skilled candidates for various posts. To examine the aspirant’s skills and knowledge, the Board officials follow some selection procedure. Mainly, the DMRC Department Recruit the intenders by conducting three rounds, those are Computer-Based Test (CBT), Group Discussion, Personal Interview. The CBT Exam contains two Papers, for some posts the applicants need to attempt those two papers. And for some posts, only one paper needed to attempt. After completion of the DMRC Exam, the Board issues the DMRC Result com. The one who clears this CBT test need to proceed for the further selection process, i.e., Group Discussion. Finally, the candidate’s who clear this round are allowed for Personal Interview. Delhi Metro Rail Corporation Cut off Marks 2018 decides the future of the candidates. The Cut-off marks are the minimum marks that a candidate should score at least to qualify for the exam. These marks play a major role in the declaration of www DMRC Result 2018. So, download these DMRC category wise cut off marks from this page. How to Download DMRC Merit List 2018? It is important for the candidates, to check the DMRC Result date. Because on that day aspirants can know whether they have qualified for the exam are not. The Board releases the DMRC 2018 Final result after completion of corrections in the DMRC Answer Key. Here, in this section, we provide step by step procedure to get the DMRC 2018 Result Card document. Candidates who do not know how to download Result DMRC 2018 for various posts can follow the below steps. After finding DMRC Result 2018 online link on the home page, click on it. You will navigate to the DMRC 2018 Results page, give your hall ticket number and password. After successful submission, you can check your DMRC Results 2018. In this article, we provide the information only for reference purpose. We update the information as soon as we get the latest information from the official website. Stay tuned to our site rrbrecruitment.co.in to get the information about latest government job Notifications, exam syllabus, previous papers, admit cards, result release dates, exam dates, answer keys, cut off marks and result. sir, i have lost my roll no. my application no. is DMRC 1447844 AND post code is RNEO1 For post applied jr. engineer-electrical. so help me my phone no.9813214375.